I could not access the directory. Planned and complete the construction of 4 primary schools with 4 communities in the Padre las Casas region. Served as Associate Director in Venezuela 1967-70. Masters in Hospital Administration from U of Mich. Married to Patti Rambasek who is the Director of Development for the National Aviary. I am a Principal with Dempster Healthcare Group. a consulting and physician recruitment firm in Pittsburgh. 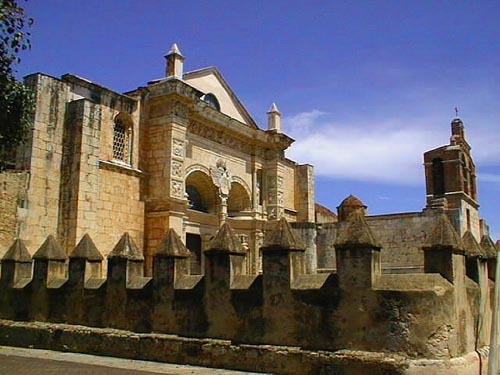 Have visit the Dominican Republic each year for the past 18 years. Birding is great in the SW Region of the DR. Best golfing is at Casa de Campo in La Romana. I am presently employed at the National Alliance for Hispanic Health in Washington, D.C. Joining the PC was the toughest but best decision I've ever made. The challenges were sometimes overwhelming, but meeting all the wonderful/unforgettable people (both co-PCVs and nationals) made it all worthwhile. five years and have a son, Tomas, from a previous marriage. Work and Live in the Washington, D.C. area. programs in more than 15 ountries. I am now a teacher at a small community college. I teach English. I really miss my village and I am glad I was a volunteer. If you are from Oregon, I would like to meet you. and am a Economic Development Specialist. Another great job. Nebraska as service coordinator and bilingual representative. Belize and Dominican Republic service. don't recall something about my experience. anniversary and anticipate at least 90 more. working in Agroforestry through 1996. Nebraska, and plan to retire in the Dominican Republic. children, ages 20 and 17. Community activities too numerous to mention here. Greatest experience of my life. Turned my whole life around. Stay involved in community affairs. Tienes una casa en Grand Rapids. best two years of my life! I am a math professor at Truett-McConnell College in Watkinsville, GA.
conduct a 4 week workshop in conversational English. and I. Rebecca is also from Georgia. preventio home visitation programs in the state of Florida. nephew/son with us in first grade. of RPCVs and we had a great time. Turner, Barry Glaz, Rabbi Teitelbaum, Mussolini Miles, etc. Belize volunteers, 1975-76 contact me to meet. All following questions are optional: Any Volunteer in Las Cuchillas, El Seibo? Exeuctive Director, Rural Community Assistance Program (RCAP), Inc. Still drawing lessons from my service...for my work and life! Lisa Benni -- from the same group. Hope life continues to be a great adventure! One of the best things that I ever did in my life. I live in Delaware and teach Spanish at the high school level. I want to do it again, now that I've learned a little more. Try to be available for World Wise School presentations in public schools. Greaatest experience of my life! I've grown to miss the adventure. Teaching ESL at Taft High School in the Bronx. 95-98, Istanbul, Turkey - Teaching at an international school. 98-02, Caracas, Venezuela - Teaching at an international school. Presently living in Santa Barbara, CA. We weren't exactly model citizens back then, were we? children, Stephanie (5) and Eric (2). Worked for three years for an environmental non-profit organization. Now in law school. Married RPCV Anne Heppenstall in 1997. Live in Monrovia, CA. Had a baby Ava Coulter in May 2002. · Volunteer to business development loan program affiliated with Women's World Banking. Program benefited 3,000 people. · Established health clinic "Ana Cruz" serving 32,000 habitants. · Secured funding and purchased machinery to make building materials for the local community. Recieved MBA degree. Direct campus admissions for a New Jersey college in the Latino community . I use my spanish every day. Tim Weaver, Tim Callaghan, I would like to hear from anyone in my group. Continued retirement, active with several volunteer organizations. On Board for Friends of the Dominican Republic. Editor of monthly Internet short newsletter FDR CYBER NEWS. Hope to get material about Peace Corps related news that can be used in our newsletter. Might use short item with referral to your Web site. I worked in private industry in Merida, Yucatan,Mexico for 3 years after COS, then spent less than a year each in Alaska and Sacramento, CA before moving to Columbus, Ohio in 1998 to be nearer family. I'm presently finishing a B.A. in Spaish at Ohio State Univ. I've been active in the RPCV group in the area serving as program chair for a year, and president for 3, esp. during the Ohio Valley 40th Anniv. of PC Celebration held in Columbus. Dominican Repubic Group I; trained at Univ. of Puerto Rico; arive in DR July, 1962; departed March, 1964. Completed college (BA/MA). State Director of Texas Office Of Economic Oppotunity, Director of Childen & Youth Services, State Director of Employment & Training, Legislative Liason/Budget Analyist for State Comptroller. Work Description: Preschool Ed, Special Ed. Currently, I am the Executive Director of SER/Jobs for Progress, Inc. of Lake County, IL. SER is a Hispanic community based organization committed to improving the quality of life for all residents. Currently working in marketing for a high tech company in Indianapolis. Any of the volunteers that trained in costa rica in 1979!!! As usual, I have received much more than I gave. Sales Planner for Discovery Channel in New York City. Co-President of RPCVs of Greater NY. Trained at the Univ of Puerto Rico, Rio Piedras. Administered federal programs for the State of Texas; retired. OEO, DOL, HHS. Researching current addresses of the original 21 members of the group. Country of Service: Dominican Rep. Taught english to local school teachers, large latrine project. Married to Dave Meyercord (DR '02)and live in Indiana with our three children. All of our fellow PCVs from the 90-92 timeframe! A/T Water, Small Business. Inherited Peace Corps Ceramic Stove project from Davis Jones in Fall of 89. Ran project exclusively for 2 years. This project was and still is a viable enterprise for PCV's in several countries. Its rewarding to know it has evolved into something enduring since its introduction into the D.R from Guatemala in 1987. Uruguay S.A. 1991-92. Was one of the original 13 Volunteers to reopen the program after a 17 year absence. Worked in Small Business development, mainly Poulty Production. I settled in the Carolinas after returning home. Worked in the furniture industry for 11 years. I am now the Latin American Sales rep for Austin International, (electrical distributor). I travel to the Carribean basin and Central and South America 10-12 times per year, including the D.R and Uruguay. Loved it! Changed my life. Gave me the skills to land my dream job. The contacts I made then help my business now. Still very close to Terry, Jeff and Larson. interested in hearing from old buddies. Married with one boy. Live in Arlington, VA. Work for international development non-profit ACDI/VOCA. I Worked with small farmers and 5D clubs. I also played and coached on a championship rugby team in La Vega. I had my training at Bosico in San Antonio de Belin, Costa Rica. What a great 3 months I spent in costa Rica. The climate was great and the people were even better. pizza business in '86. I am now semi-retired and doing property management. I recently filed to run for the state house of representatives here in the south side of Anchorage. It should be a challenge but that is nothing new for us RPCV'S. I think they were some of the best days of my life! Getting to travel and live overseas was a life changing expierence. I gained self confidence and that allowed me to take the risk of moving to Alaska which has been a life changing expierence in it self. We had a reunion a few years ago in the DR and 9 former volunteers attended. It was great to see all of them. I want to know if anyone has a line on Neil Dingott? He was one of my trainers while in Costa Rica at Bosico. Great guy! been able to do the volunteering you can do any thing that you set your mind to! I managed a swine farm which sold young pregnant hogs at low cost to local farmers to improve the blood lines in their own herds. I also visited many farms in the campo and gave extension classes on improving swine nutrition, breeding, and surgery to anyone who would endure my mediocre Spanish. Our group initiated a teacher certification program that involved rural elementary teachers. There were 4 volunteers in Sabana de la Mar. Other group members served in 4 other towns in the eastern part of the country. My wife, Sandra, was a fellow PCV. We married in Hato Mayor in 1967. We are about to celebrate our 37th anniversary. We are retired teachers- now active in volunteer work. Have traveled extensively. It was a life altering experience. I would like to hear from anyone from the group that I was a part of as well as other volunteers who served in Sabana de la Mar at a later date. Miss it and would go back if I could! Anyone from my group. You know who you are. Never ET! and if you do go out Fighting! I am currently working for U.S. Fish & Wildlife at the Lower Rio Grande Valley National Wildlife Refuge in south Texas. I work as a revegetation technician, restoring native brushland in the wildlife corridor. One of the trees that we plant is the native Leucaena pulverinata, but its cousin, Leucaena leucocephylla, is an introduced weed down here, so we kill it. BTW, my boss is an RPCV from Guatemala. It didn't always go as planned, but I'd do it again. Except I wouldn't marry a host country national. RPCVs are some of the nicest people I know.